Cozen O’Connor recently handled the first trial to go to a jury on the issue of strict liability against a manufacturer of CSST (corrugated stainless steel tubing). We are pleased to announce that, following an eight day trial conducted by Mark Utke of our Philadelphia office, the jury found CSST to be a defective product and imposed strict liability against Omegaflex, one of the major manufacturers of CSST. Mark represented Terence and Judith Tincher, as well as their property insurance carrier, for both subrogated and uninsured losses. The jury awarded 100% recovery of both the subrogated and uninsured losses, for a total judgment that will exceed $1,000,000. Tincher v. Omegaflex involved a CSST line that was installed in 1998 and failed from the effects of indirect lightning in June of 2007, and was tried in the Common Pleas Court of Chester County, Pennsylvania. Recipients of our Subrogation Alerts and readers of the blog know of the issues arising from the development of CSST. Since 1988, CSST has been used in industrial, commercial and residential construction to transport pressurized propane and natural gas. The tubing walls are flexible and only approximately 10 mils thick (the equivalent of four sheets of paper), making CSST extremely vulnerable to the energy from indirect lightning strikes. While seeking to go to ground, the energy can result in a perforation in the tubing. When this occurs, an arc ignites the pressurized gas and causes a blow torch effect, which typically results in a significant fire. CSST failures are annually responsible for millions of dollars in property damage across the United States, and hundreds of claims are pending against the various manufacturers of CSST. Omegaflex sells a brand of CSST known as TracPipe, which first came on the market in 1996, as a replacement for traditional black iron pipe. To date, over 750 million feet of this product has been sold across the country. The purported advantages of TracPipe are its flexibility, ease of installation, and ability to reduce the incidents of gas leaks. At trial, Omegaflex argued TracPipe’s ability to survive natural disasters, such as earthquakes and tornadoes, far outweighed any disadvantage associated with the product, including its vulnerability in confronting indirect lightning strikes. Omegaflex also argued that a properly bonded CSST system could withstand the energy produced from an indirect lightning strike. Omegaflex’s failure to ever test TracPipe’s ability to withstand such energy, when properly bonded, proved fatal to its defense. The National Electric and Fuel Gas Codes both contain bonding requirements for household gas and electric systems. However, these codes are intended to address life safety issues arising from stray electric current, as opposed to the dissipation of the energy created by an indirect lightning strike. Despite this, CSST manufacturers, as an industry, argue that compliance with these code requirements demonstrates their products to be safe. 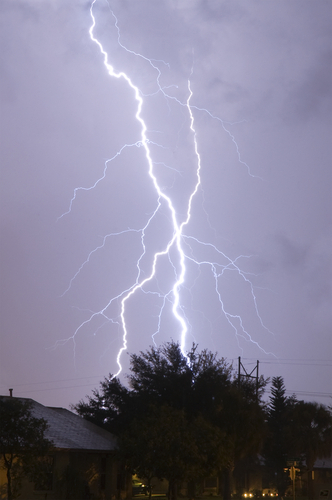 However, the National Fire Protection Association is currently evaluating the effectiveness of bonding as it relates to CSST and has considered recommending a complete ban on the sale of CSST, absent a demonstration by the industry that bonding can be a safe and effective means of safely dissipating the electrical energy created by an indirect lightning strike. The Tincher verdict, significant on its own, has the potential to impact cases against Omegaflex beyond Chester County, Pennsylvania. A viable argument exists to extend the principles of collateral estoppel to apply to other cases against the manufacturer in other jurisdictions, involving similar facts and claims of defect. The defective nature of the product would no longer be an issue for the jury to decide, given the prior determination by the Tincher jury. For additional information, please feel free to contact either Mark Utke or any of the 130 subrogation attorneys at Cozen O’Connor.